A garden pathway invites you to this charming Dominican Colonial. Refinished hardwood floors, beautiful traditional accents, large bedrooms, updated kitchen & baths, plus lovely English garden all lend to the atmosphere of tranquility. 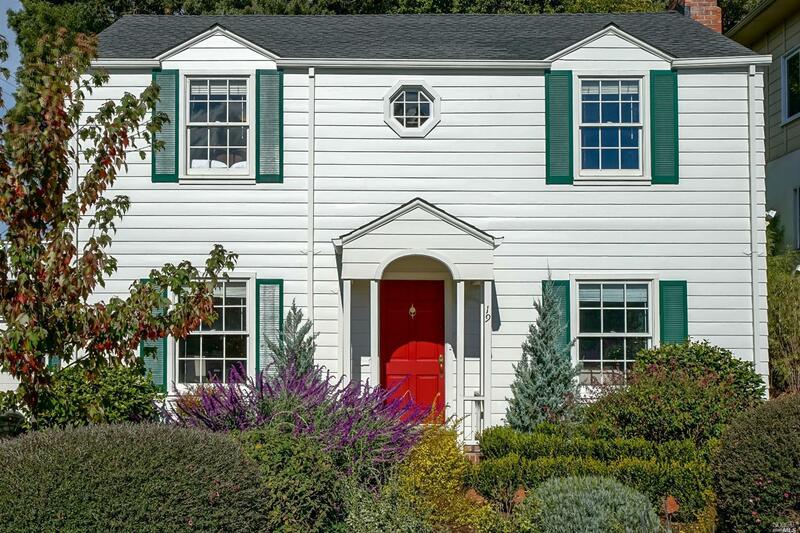 Maybe expand over garage-Bd &/or Ba offering fab views of Mt Tam. Outdoor fireplace may be from BBQs at old Hotel Rafael. Conveniently located to schools, hiking, shopping, Dominican Univ, 101 & entire Bay Area.